Tracing the Richards paternal lineage of Neath, Wales and building up a rich picture and narrative of their lives and times. The author is Philip Richards, currently living in Overton, Hampshire, UK. In an earlier post I mentioned that Richard Richards, my great-great grandfather who came over from Devon to Neath around 1870 (I think), held the licence of the Duke of Wellington pub in Old Market Street in that town. Until now, I was not sure when he took over the pub but with the help of some knowledgeable people in Neath*, I have now established the date as sometime in May 1893 - the 12th May 1893 to be exact (I think again!). 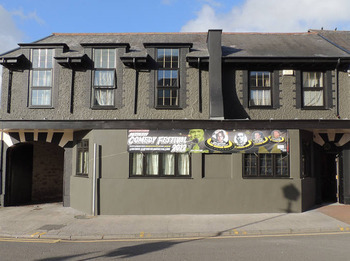 "The licence of the Duke of Wellington Inn was transferred from Richard Morgan to Richard Richards"
As the date of the newspaper was Friday 19 May, I am assuming that the Neath County Police arranged/facilitated the transfer the previous Friday 12 May. In researching this, I also came across several other pieces of interesting and useful information about the Richards family. * Thank you to the Neath Antiquarian Society and Mr David Michael for pointing me towards this information and its sources. 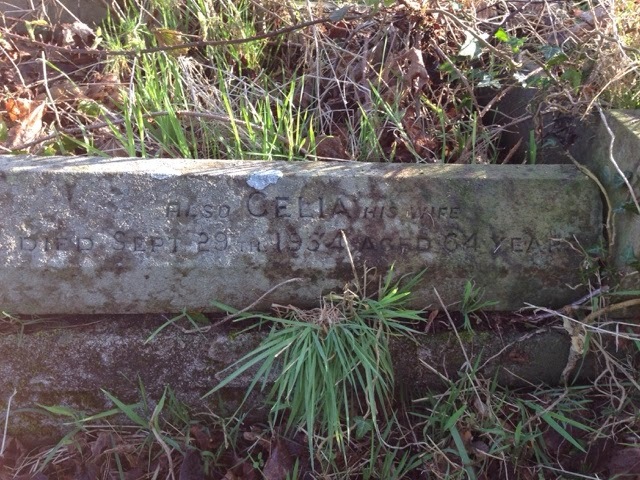 At Easter, Dad and I visited the grave of Richard, his wife Celia, and their son Thomas at Llantwit Cemetery outside Neath. The tombstone was quite overgrown so we cleared it a bit so at least we could read the inscription. Thomas was one of twins, his other twin Jack apparently eventually left Wales and settled in Jersey and that is a strand of the family we need to connect with at some point and may have some family history to share. 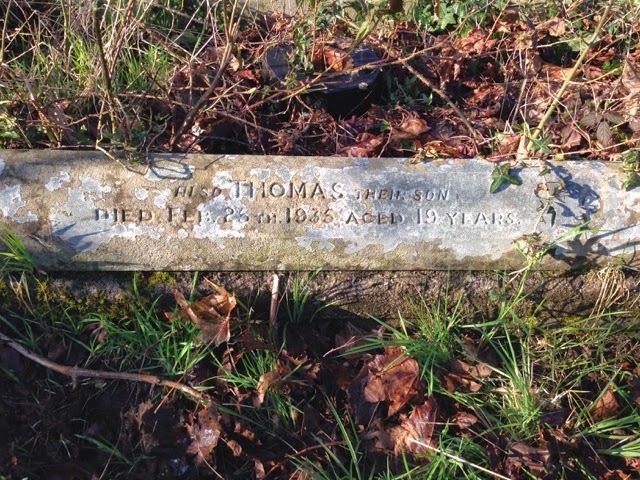 We don't know how Thomas died but it must have been tragic as he was only 19. My grandfather Richard, his brother, must have felt the pain. The "pub", or public house, seems to have featured strongly in the Richards line, certainly from the mid 19th century onwards. 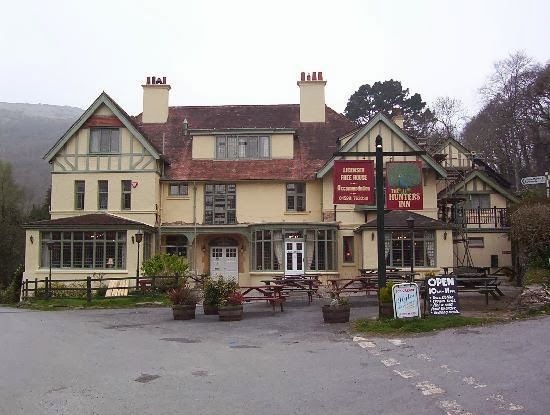 We ran/owned pubs both in North Devon and, later, in Wales. John Richards (1815-1897) was the father of Richard Richards, the latter being the family member that came over to Wales from Devon and was part of my direct line (see previous post here). It appears that John was born in Trentishoe in the same year as a very historic event - the Battle of Waterloo where the French Emperor Napoleon was defeated by the allied forces under the Duke of Wellington, which reversed what was started in the French Revolution and restored the French crown (link). 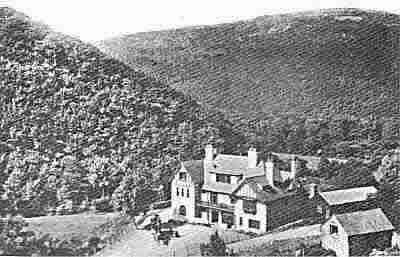 John married Mary-Ann Hoyles (1824-1891) in or around 1846, and it seems that Mary-Anne's family were running/owning the Hunters Inn in the Heddon Valley in the parish of Martinhoe. The 1841 census shows that the Hoyles were running the Hunters Inn in 1841, but that John and Mary-Anne had taken it over by the time of next census (1851). It's possible that John and Mary-Anne moved into the Hunters Inn before they were married in 1846, but perhaps one would have expected to have done that after they were married, i.e sometime between 1846 and 1851. Before they moved to the Hunters Inn, they were apparently living at Trentishoe Coombe Cottages, where there is evidence that their first 2 children Elizabeth (b. 1846) and John (b. 1849) were born. This narrows down the time they moved to the Hunters Inn to between 1849 and 1851. The following link referring to White's Directory of 1850 link to devonheritage.org states "John Richards, victualler Hunters Inn". The image below is possibly from that time. Tragically, we know that John and Mary-Ann's eldest child, Elizabeth (or Eliza as it seems she was known) only survived 2 years. She is buried with her parents and her passing in 1849 is recorded on the headstone of their grave in Trentishoe church. My direct ancestor, Richard, was born in the Hunters Inn in December/January 1850/1851 as we are told in the 1851 census (taken on 30 March 1851) to be 4 months old. His brother Thomas (see post here) was born a few years later in the Hunters Inn in 1853. It would seem that John and Mary-Anne were running the Hunters Inn as late as 1880/1, as the 1881 census shows that they were living in Trentishoe parish. Hunters Inn was in the Martinhoe parish. So at least they were not living there at the time of the fire which devastated the pub in 1895! It is unclear which property they moved to, but both the 1881 and 1891 censuses showed them living in Trentishoe parish. John died in 1897 and is buried as St Peters Church, Trentishoe with Mary-Anne who had died earlier in 1891 and their infant daughter Eliza. 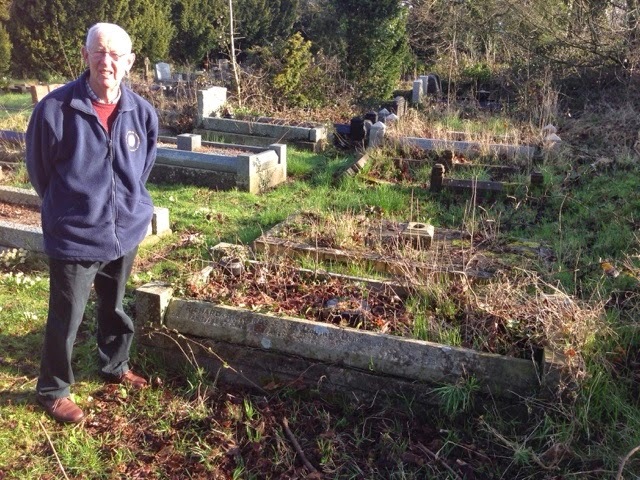 Their grave is in close vicinity to that of John's father Richard (1790-1875). Part 2 of the pub's role in our family line revolves around John's son Richard who moved to Wales and it was his son (another Richard) who ran a pub in Neath, the Duke of Wellington (ironically commemorating the victor in the war which was won in the same year that his grandfather was born! )..........see next post! Thomas Richards (1853-?) - the original founder of the Richards' coal merchant business? 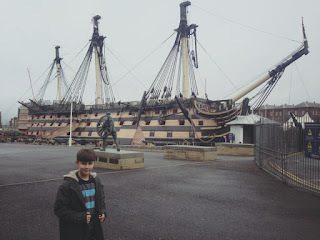 This post focuses on a person who is a slight deviation from my direct ancestry, but in terms of his occupation is definitely relevant to the story of my direct line. To provide some more recent context. My father and his brother (Gwyn), and their father before him, owned a coal merchant's business in the village of Aberdulais, about 2 miles from Neath. The work was hard and I experienced that personally by helping out during holidays. The coal business ceased in the early 1990s due to the building of the new A465 road which came straight through the coal yard. It seems that my great grandfather (Richard!) and my great-great grandfather (Richard again!) were not in the coal business, but my great-great grandfather's brother Thomas was. And possibly, this is where the coal business started off from. So what do we know of Thomas and how did the coal business develop over time? 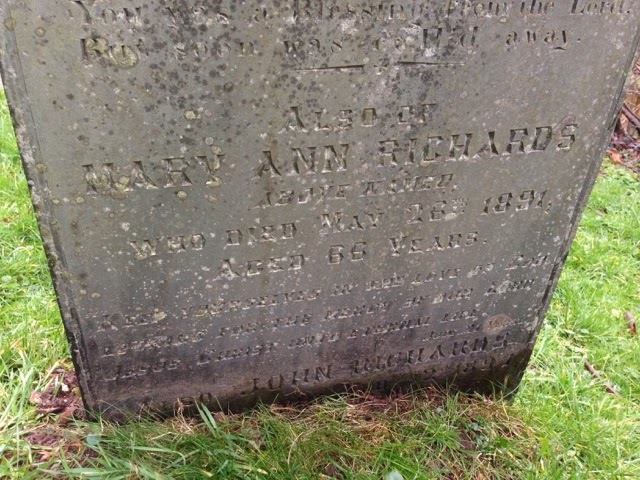 My previous post here mentioned a Thomas Richards, who appears to have come over from North Devon to Wales with his brother Richard Richards (my great-great grandfather) in the second half of the 19th century. 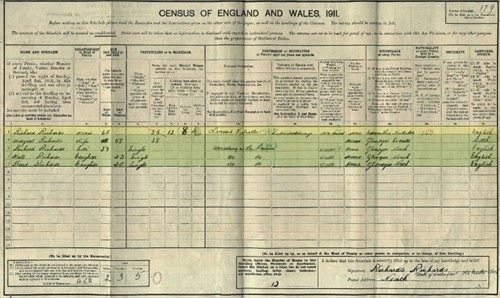 The census of 1891 shows Thomas living with his wife Mary and family at Tyn Yr Heol Fach*, in the parish of Llantwit Lower, just outside Neath. His occupation is set down as "coal merchant". The next (1901) census shows him still at Tynyrheol Fach as a "coal merchant (retail)" and also his son, another Thomas Richards, as in a similar occupation. The 1911 census, ten years later, shows that he was "coal merchant and farmer" at Tynyrheol Farm, Tonna; probably the same property as Tynyrheol Fach (but I'm not completely certain). Thomas was not living at the property in 1911 (though he still may have been in the coal business with his father or on his own) and another son, Frank A Richards was mentioned "assisting in the coal business". Unfortunately, Ancestry.com records do not show any further information for either Thomas senior, Thomas junior or Frank beyond 1911, so at this point I cannot say which of them, if any, continued the coal business. It is very possible that my grandfather Richard Richards got into the coal business himself via his great-uncle Thomas or uncles Thomas/Frank, or perhaps their offspring, rather than setting up a new business from scratch; though a conversation with my father suggests that my grandfather set up his own coal merchant business, so it was possible that there was some inter-family business rivalry! * It appears that Tynyrheol Fach or Farm (whether they are the same of different properties) is different from Tynyrheol which is mentioned in the link attached (here) as being on "the Neath road, Tonna". Fach and/or Farm may have been an adjacent property. Certainly the censuses mention above distinguish between the two properties and Tynyrheol was headed up by the Jones family. 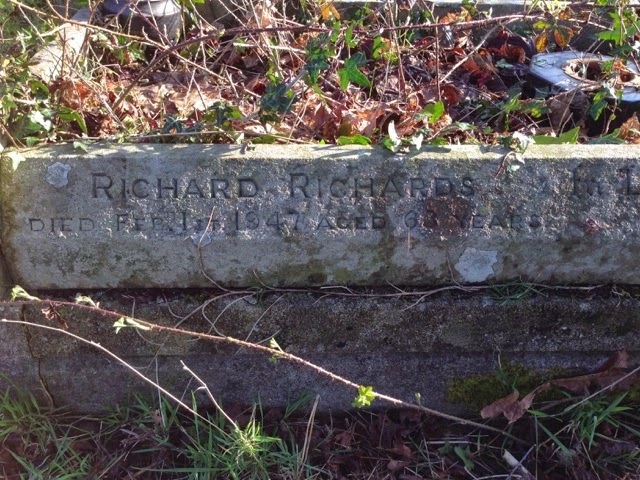 So Richard (1851-1912) was the one who came over to Wales and started a Richards dynasty in Neath! Richard was 4 months old during the census of 1851 and at that time he was living at the Hunters Inn, in the parish of Martinhoe, a neighbouring parish to Trentishoe. It's therefore likely that he was born at the inn that his father, John, and his mother, Mary-Ann, kept at the time. The 1861 census shows that the 10 years old Richard was still living in Martinhoe, though whether he and his family were still running the Hunters Inn at that time is not known to me as yet. As I mentioned in my last post, the 1871 census shows him having arrived in Wales and working as a "stone breaker" so he must have arrived sometime between 1861 and 1871. 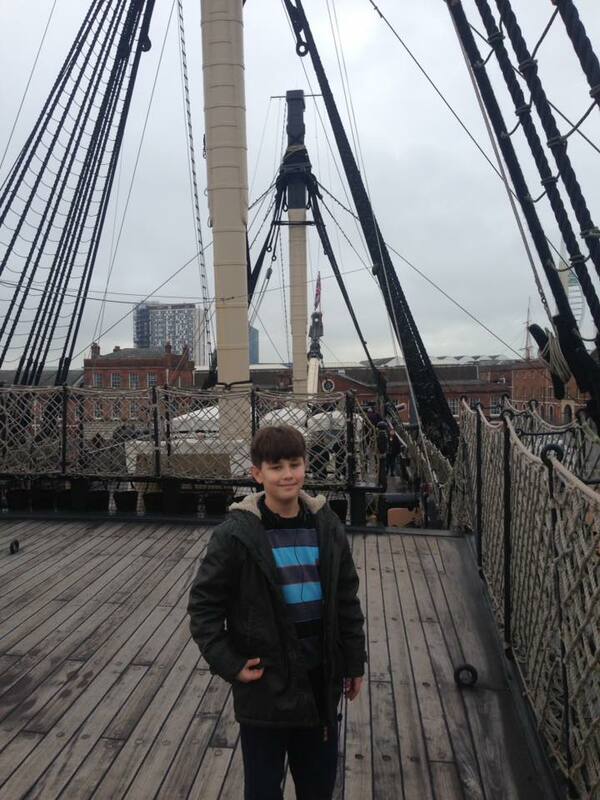 He would have been a young man, anything between 10 and 20 years of age, though if he came over to Wales (it seems without his parents, though possibly may have been accompanied by his brother Thomas*) one would have thought he was nearer to 20 than to 10. But in those days, anything was possible, and further research may shed some light about his journey to Wales from Devon. He married Margaret Morgan in St Catwg's church, Cadoxton (a village outside Neath) on 26 November 1873 when he was 22 years old and living in the Pentwyn area of Neath. I am not sure, and trying to find out, which part of Neath that is. Margaret was also from Neath, living at Gellia Fach (a farm?). Richard's occupation at the time seems to have changed to a collier from stone breaker. His father John obviously appears on the marriage certificate, but one wonders whether he was actually present and/or whether any other family members were there. Maybe Thomas stood close to his brother? It appears that Richard took over and resided at the Duke of Wellington pub sometime after 1888. By this time, he was gathering quite a collection of offspring and the 1911 census shows that he and Margaret had 12 children in total, of which 8 survived. By 1911, only 3 children were living in the pub - Richard (my great grandfather), Kate and Maud**. He is also noted as a "church sexton" in the 1881and 1891 censuses. As far as I understand, his son Richard (my great grandfather) took over the Duke on his father's death in 1912. * An interesting story for another blog post is Richard's brother Thomas. Ancestry.com website shows that was born in 1853 at the Hunters Inn and was two years younger than Richard. He was married to Mary in 1874, a woman born in Lynton, Devon. Were they married before they left Devon? Or did they leave on their own journey to Wales as young lovers? The 1881 census saw them living in Llantwit Lower, an area of Neath near the village of Tonna and appear to have remained there at least up until 1911 Wales Census (the census shows him living at "258 Tynyrheol Farm, Tonna, Neath" in the parish of Llantwit Lower). His death date is not recorded on ancestry.com. What is interesting is that the 1911 Wales census shows his occupation as both a farmer and coal merchant. As my own father, and my grandfather, were coal merchants, I wonder if my grandfather got involved (apprenticed?) in the coal business via his "uncle" Thomas, as my great grandfather does not appear to have been involved himself. Maybe. 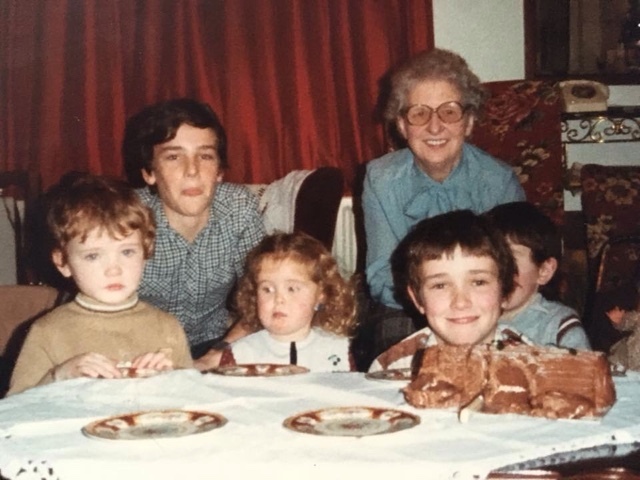 ** Maud, or Clara Maud L Richards per ancestry.com, appears to have only died relatively recently in 1975 but it is not a name that I have come across before in family discussions. Another interesting future blog post!